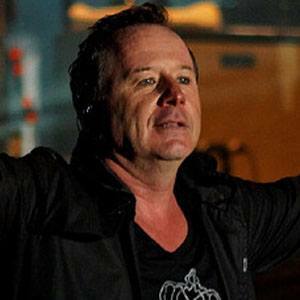 Singer and songwriter who was a member of the band Simple Minds, a group that released the #1 album Ballad of the Streets. He founded the punk rock band Johnny and The Self Abusers in 1977. He was a huge Celtic FC fan and active supporter of their movement. He married actress Patsy Kensit in 1992 and they divorced in 1996; they had a son named James. He was once married to Chrissie Hynde, the frontwoman of The Pretenders.